Aquatic recreational sports activity can sometimes lead to dizziness, and this is most commonly associated with diving-related injuries to the ear, for example, alternobaric vertigo, perilymphatic fistula, and inner ear decompression vertigo. However, when pathologic, diving and ontologic related causes of dizziness during or after aquatic sports activity are ruled out, cervicogenic dizziness can be the possible differential diagnosis. Cervicogenic dizziness is often associated with stiff neck, pain in the neck or upper back, restricted movement of the neck, forward head carriage posture, and dizziness upon palpation of the tender neck musculature or upon certain movement of the neck. Disorder of the cervical spine is the leading cause of dizziness. Our clinical teams of Physiotherapists and Chiropractors use advanced breakthrough technology coupled with specific methods of chiropractic and physiotherapy treatments. 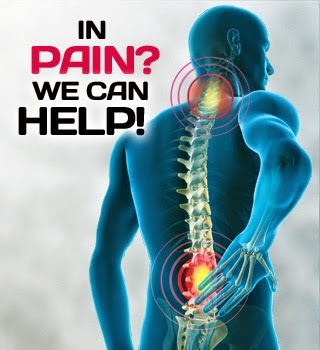 Learn more about our neck pain treatment in Malaysia. Dysfunction of the cervical spine is one of the possible factors that leads to the development of cervicogenic dizziness. Altered proprioceptive receptors in the cervical spine and abnormal sensory input from the neck can cause dizziness. Inability to realign the head in a neutral position with the eyes closed is a sign of poor cervical perceptive awareness, and this is very common in patients with cervicogenic dizziness. Diagnostic imaging of the spine such as MRI can be prescribed to rule out slipped disc or disc herniation in the cervical spine as this can often complicate the condition. Treatment of cervicogenic dizziness includes manual physiotherapy and chiropractic treatment. Upper cervical joint mobilization, trigger point release techniques, manual traction, suboccipital release, soft tissue mobilization, stretching of the tight muscles such as suboccipital, levator scapulae, upper trapezius, pectoralis, and rotator cuff muscles can alleviate the symptoms. Rehabilitation exercises such as cervical spine mobilization and stabilization exercises are often helpful for cervicogenic dizziness. For more information or inquiries about our centers and services for cervicogenic dizziness, neck pain or headaches, please contact our main center at 03-2093 1000.